I have been using Ancestry. com for a number of years now, and even owned a copy of their software, Family Tree Maker. I was not so happy with the software especially since I had all of the resources online. About a year ago I wanted to put all of the information that I have online in a software so I would be able to maintain a hard copy. With the old software you had to download the text file and import it into the software, but none of the notes, media(photos, videos),or stories were able to be downloaded. Well I was not about to re-enter all of the data on the couple of thousand people I had in the online database, and over a thousand photos and stories, so I didn't bother. 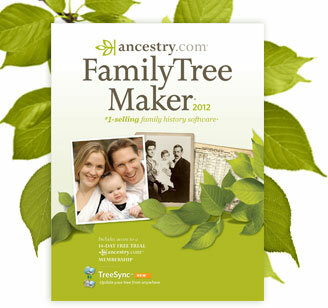 The Family Tree Maker 2012 has this new sync feature for those of us that use Ancestry.com. Now I was a bit sceptical about it syncing all of the media, etc. When I called to ask the questions it actually was not until the second time that I call that I was assured that the new software would do exactly what I wanted it to do. So I order it and it is exceptional. I synced it to my online databases and every bit of information was downloaded and I must say I was a really happy camper, or should I say customer.